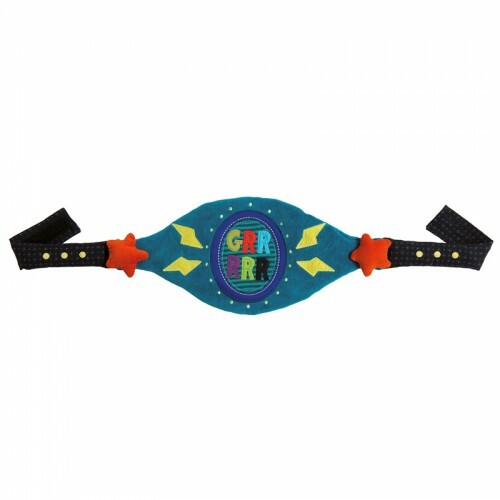 Fastening on this embroidered superhero belt will unleash your little one's greatest strengths! Whether it's super strength or the ability to read minds, this belt makes a fun and imaginative dress-up accessory. A comic-like "GRRRRR" badge is flanked by lighting bolts and stars atop an electric-blue base. This superhero belt is safe for tots aged 2+.